Place beans and garlic in a food processor; blend until smooth. Spread in an oven-proof 9- inch pie plate. Combine onion, roasted red pepper, Italian parsley, and Italian salad dressing; spoon over bean layer. Bake for 10 to 15 minutes or until heated through and cheese melts. 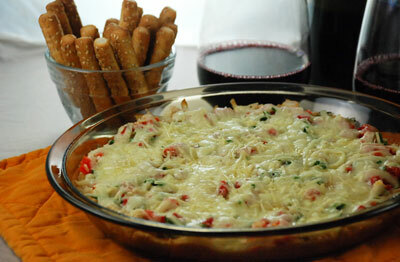 Serve with toasted baguette slices, breadsticks or crackers.